This essay is part of a new report from the Center for Opportunity Urbanism called "America's Housing Crisis." The report contains several essays about the future of housing from various perspectives. Follow this link to download the full report (pdf). Yet for all its problems, decade after decade 80% of new home purchases are not urban, but suburban. 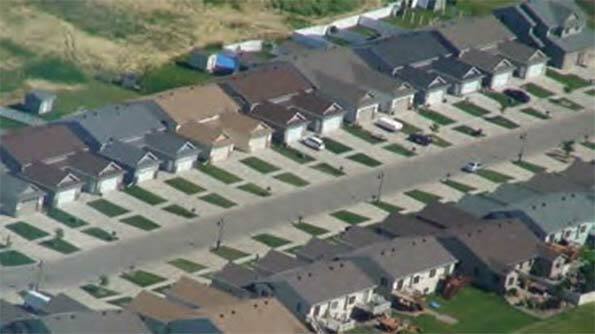 Some (architects, planners, and university professors) suggest we should emulate the dense growth of other nations not blessed with the vast area of raw land within our country, yet most of those countries as they prosper strive to emulate our American suburbs. The planning of our cities is about design. Yet, for the past quarter century a highly organized group consisting mostly of architects (acting as planners) have pushed a New Urbanist agenda that is as much about social engineering as it is design. grid. This ’New Urbanism’ is exactly how cities were designed before contemporary suburbia. In this sense they are not so much new, but as they themselves suggest “neo-traditional”. To convince others of the evils of suburbia they present the worst suburban examples lacking proper design as emblematic of their essence. 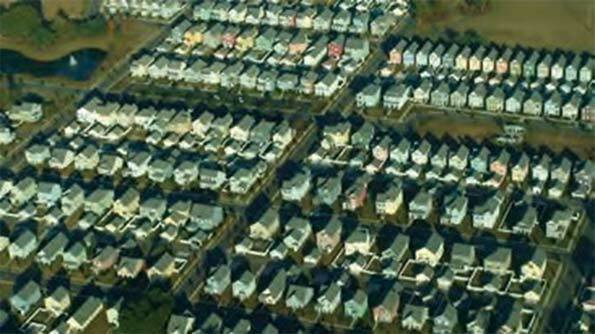 Their solution is to forever banish suburban growth by whatever means necessary—usually through regulation --- that essentially eliminates choice for the consumer. For most urban planning professors there appears to be just one singular solution: ever higher levels of density and a return towards the urban core. Young students study such models but, from my experience as a land planner, are grossly under-educated about what works in suburbia, where the majority of growth has been, and, short of a total political triumph of “progressive” planners or another catastrophic recession, will continue to take place. the New Urbanist ’one solution fits all’ agenda. Density is the most misunderstood and misrepresented excuse to attack suburban growth. Density and affordability are two very different concepts. New Urbanists argue their high density solution allows people of all incomes to live in harmony, yet finding any affordable (non-heavily subsidized) dwelling in a New Urban development is highly problematic. The CNU boasts of their gentrification which by definition means upper income. It turns out that diversity has nothing to do with ’design’ and everything to do with people wanting to live in neighborhoods with others, like themselves. Many conventional suburbs are far more diverse in terms of class and ethnicity than new urbanist communities, or revitalized parts of our downtowns. Similarly, restricting how many families can be sardined into an acre of land (the definition of density) has absolutely nothing to do with affordability—if it did the New Urban projects would be the most affordable, not the most expensive. New Urbanists are quick to point out the sprawl of new growth, completely ignoring today’s environmental restrictions. If cities of the past were designed using today’s wetland preservation (and buffers), shoreline buffers, slope restrictions, tree preservation, open space targets, and detention ponding, they would have sprawled also. Cities built with 2015 restrictions would likely consume 1/3rd more land area than if planned using 1915 restrictions. Much of today’s sprawl is due to environmental restrictions which have counter-productive side effects—higher housing costs, less convenience, and more commute time. Those arguing against sprawl fail to recognize that a suburban land developer’s main goal is to maximize the number of units on their site, not build the least homes. Consultants hired by the developer assume maximum profit is achieved by the greatest number of homes, thus decreasing sprawl. If a developer could increase profits by proposing a 20 story multi-family building on their suburban tract of land they would seek an approval. But this runs up against demonstrated consumer preference: suburban dwellers do not commute to be on the 18th floor of a high-rise, instead they seek the most home on the largest lot within their budget. However, a suburban problem is that higher density too often relates to ’cheapness’, and can result in unsustainable growth as characterless projects decrease in value over time. Developers will submit site plan proposals based upon market conditions. 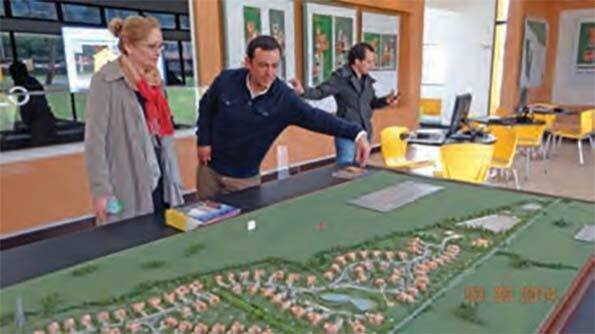 If the market desires large lots with estate-sized homes, that is what they will pursue. If the market desires dense single family homes with no usable yard squeezed in at six per acre that’s also what they will pursue. However, because of possible forced regulations by New Urbanist, in some instances the developer may not have a choice but to submit a proposal with excessive densities when there is no market demand. For example, in 2014 we designed a 60 acre site in Lake Elmo, Minnesota at a mandated high density. The city was forced by court order to adhere to density mandates of the Metropolitan Council, an agency who controls both transportation and sewer service for a seven county region surrounding Minneapolis and St Paul. In order to get approvals we had to design narrower than usual single family lots including high density multi-family. However, the developer could not secure a viable multi-family builder as the market demand favored only single family. Luckily the site was located next to a medical clinic, so a high density senior housing building was proposed and was marketable, however, the single family homes would be harder to sell with a towering building in their immediate back yard. Other developers were forced to submit hundreds of multi-family units housing without residents to buy them. That is why the New Urbanism movement and their Smart Growth agenda is so dangerous, they lead to instances where choice in density and in some cases design standards, is no longer a developer’s option. In most of the country, city regulations allow various uses (Land Use) be placed within a certain defined boundary or zone (Zoning). Each ’Land Use’ will have a set of minimum setback distances between structure and lot property lines for side, front, rear yards, and minimum lot size. The problem with suburban zoning is that it encourages placing the highest density (the most families) in the worst locations, and the lowest density (least families) in the best locations. What constitutes the worst locations? Along noisy highways, behind loading docks of strip malls, and near loud railroad tracks. Somehow this ’transition’makes sense to City Planners who advise municipalities on growth. for submittal, most likely contracted with the local civil engineering firm.